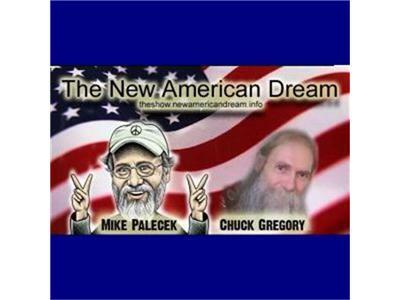 If you liked this show, you should follow The New American Dream Radio Show. My co-host Mike Palecek and I (Chuck Gregory) welcome poet/publisher Michael Annis and writer Albert Russo. Michael Annis returns with the second of a three-part series of interviews discussing Cost of Freedom: The Anthology of Peace & Activism. Having introduced the project last month, he'll focus more on reading excerpts today, selected from the more than 100 contributors to the book. Albert Russo will be discussing his 2009 book The Black Ancestor, which depicts a young (mostly) white girl growing up in the Belgian Congo in the 1950s. Leodine discovers that her ancestry includes someone of another race; she maintains the facade of being white while wrestling with her identity and observing the unequal treatment of those around her, It's a profoundly moving book that I enjoyed immensely and I look forward to discussing it with Albert. We'll have some great new bits and as always The News from Mount Liberty.